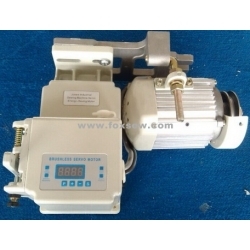 Remarkable energy-saving: the motor starts instantly, stop instantly, has no-loading running, and it could save 60%-80% power at least compared with normal clutch motor. 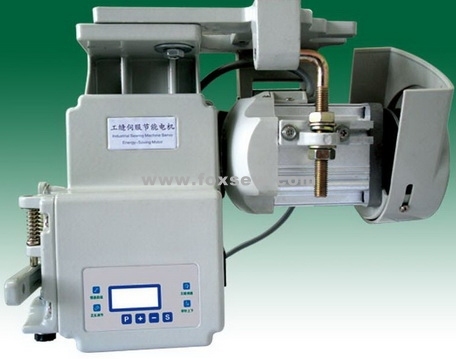 Balance output power: its output power matches with need of sewing machine automatically economizing power. Low speed with high torque: the speed of 600r.p.m starts and the output power is 3Nm at least. No maintenance, long life: brushless design to avoid cleaning the motor and changing the carbon brush frequently. Super width voltage work: AC180-260 normal work. One Motor multi-function: It could be instead of all the clutch motors within 600W. Fast and low starting sewing set: It could be fast and low starting sewing set by starting instantly. 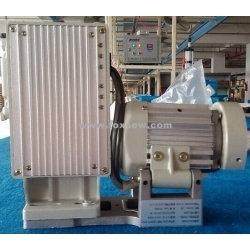 Up to the environment protection concept: the lower noise, the least heat, and the even operation for the motor running. 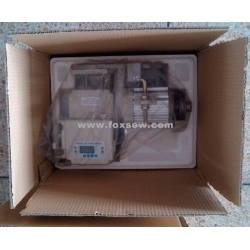 Needle up and down function: the panel design makes the regulation operation more convenient.